A University of Guam graduate student in the Sustainable Agriculture, Food, & Natural Resources program took an important step in his future career by presenting his research, networking with others in the field, and learning about current trends and issues at the Soil Science Society of America conference held Jan. 6–9 in San Diego. Under the theme “Soils Across Latitudes,” the conference invited researchers from various climates to present on soil issues in different environments and on soil issues related to climate change. “I was exposed to the different problems that communities encounter with soil around the world and learned about recommended practices to solve these problems,” he said. Desamito attended the conference with his faculty mentor, UOG Professor of Soil Science Mohammad H. Golabi. The two presented a poster at the conference on integrating the application of biochar into agricultural conservation practices in Southern Guam. Biochar is a carbon-rich charcoal used to increase soil fertility, agricultural productivity, and resistance to soil-borne diseases. Desamito also came away from the conference with valuable connections with other students, professors, and colleagues from around the world who are doing research similar to his biochar project. “I was also able to meet with researchers who offered me research positions for my PhD program that would help me grow as a future soil scientist upon my graduation from UOG,” he said. 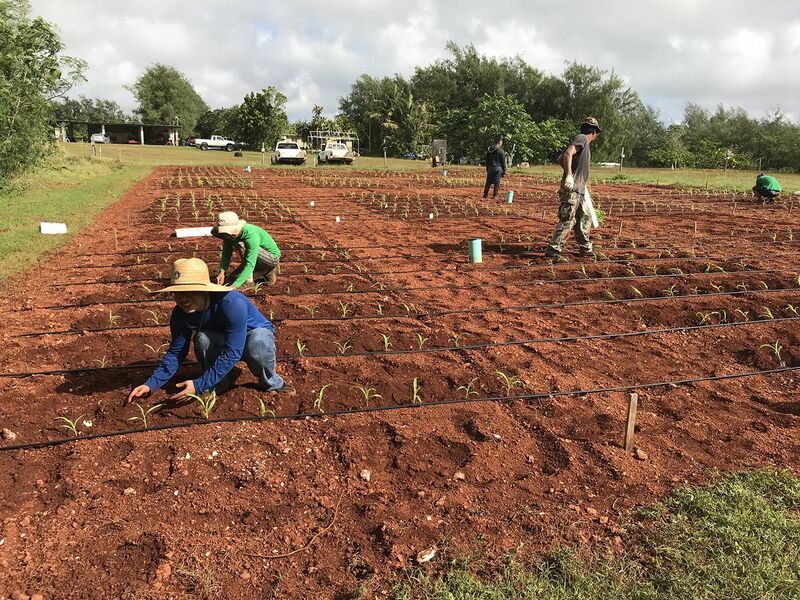 Following his pursuit of a doctorate, Desamito said he wants to come back to Guam and help the community understand the importance of soils as well as research sustainable ways to improve soil health and fertility in Guam. either compost, biochar, a mix of biochar and compost, or nothing.